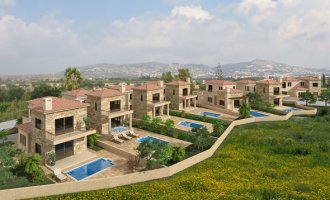 Select property/ies (through visit to Cyprus or via correspondence). Sign purchase agreement and transfer funds to a secure account. Receipt issued by Tsangarides Estates, which is required for application. Applicant must gather all necessary documents required for application with the help of the appointed lawyer. 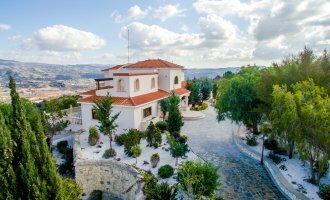 The documents must be officially translated into Greek or English and certified with apostille (if in a country which has signed the Hague Convention of 1961) or stamped by the Ministry of Foreign Affairs and relevant Cyprus Embassy. The applicant/s must visit Cyprus in order to submit the PR and citizenship applications and to give their biometric data required for the issuance of the permanent residency card, which is issued in 5 days. The payment of the government submission fee of €2.000 per adult applicant for the purpose of the citizenship application, is required at this stage. The citizenship application is lodged, together with the property purchase agreement and all required documents, at the Ministry of Interior. The Ministry of Interior will approve the citizenship application within a period of six months from submission. Payment of the government approval fee €5,000 per adult applicant is required at this stage. Once the applicant has held a Cyprus PR card for a period of six months, he is able to complete the naturalisation process. In Cyprus the process, including collection of biometric ID cards, takes 1 day, while through a Cyprus embassy abroad the process takes up to 2 weeks. Submit the applications of children/parents to be naturalised. Applications of minor children are processed within 3 weeks; they can visit Cyprus anytime to collect their papers. Adult children/parents applications are processed within 2-3 months and are subject to a submission fee of €2,000 and approval fee of €5,000 per person. Once approved passports and ID cards must be collected within three months.